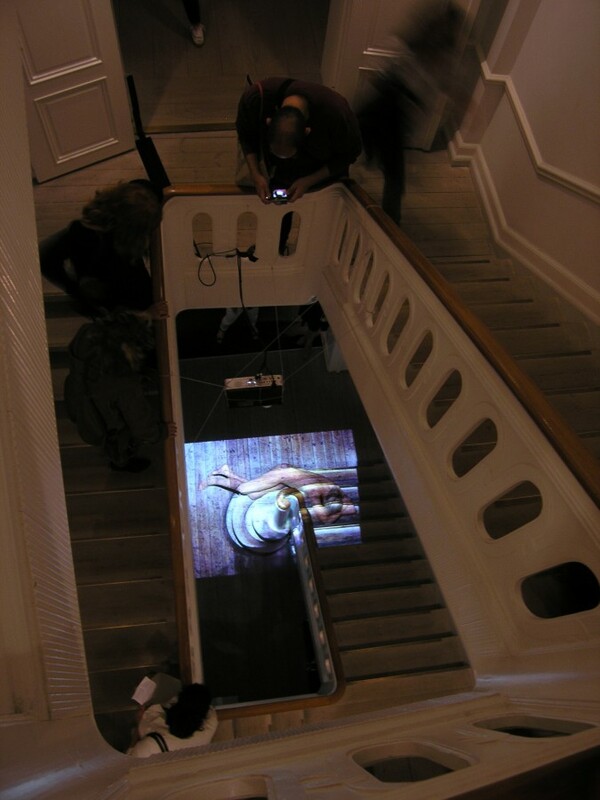 A performative situation on the internal stairway of GL STRAND exhibition hall, using my own body and a video projection. I am inspired by the performativity thinker Erika Fischer-Lichte, who calls for “perceptual multi stability”, in order to ensure that neither the perceptual order of representation nor the perceptual order of presence is permanently stabilized. The performance can be placed within the post human paradigm in which subject and materiality is equated and assembled in order to create new ways of understanding socio-material matter. 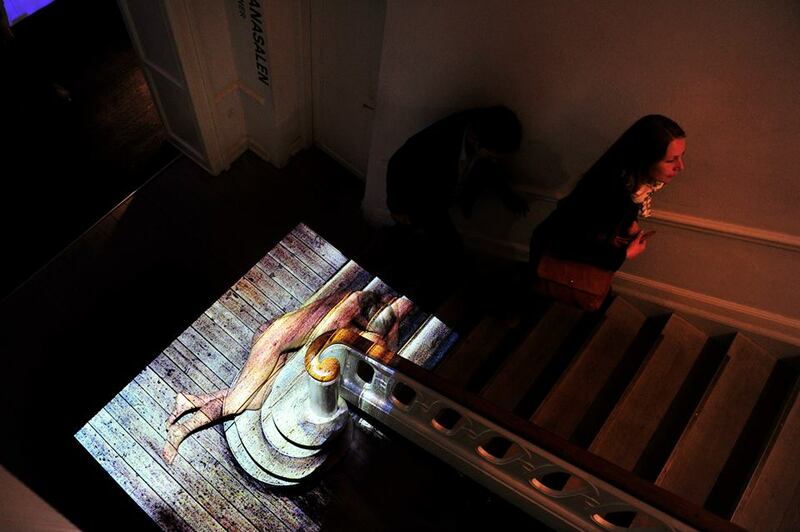 The performance explores the perception of embodied situations, articulating the constantly regulating exchange between body and space, between body and materiality, between body and other bodies.